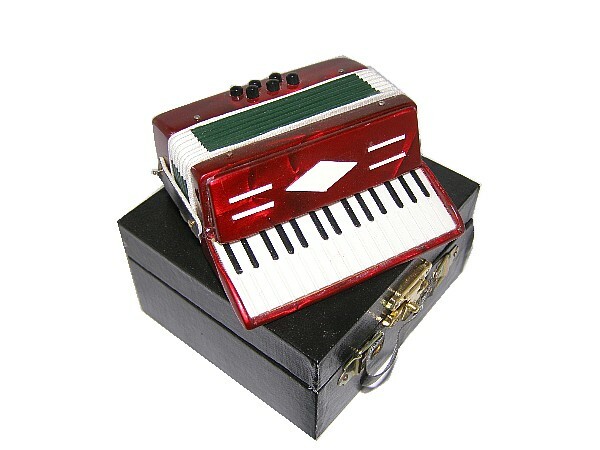 A miniature imitation accordion complete with its own velvet lined storage case. The bellows even open out just like the real thing! Approx Size : 95 x 90mm (3 3/4" x 3 1/2").